We open on a crowded bar room, after a full days travel you’ve all bought rooms for the night, dumped your equipment in them and are now trying to have a drink of your choice before retiring for the night. You’ve managed to grab tables for yourselves but the bar is so crowded people keep bumping and jostling into you as they’ve try to make room to move. You have to speak in louder voices than usual just to hear those across from you. As you’ve been talking amongst yourselves, the crowd has been getting louder as well, the room becoming hotter as the heat of the cooking fire and all the bodies make the room uncomfortable, people drinking more and more in quick succession to try and cool themselves or at least tolerate it. The crowd is moving and bumping into you more and more before inevitably someone shout and a body is thrown and crashes into your table. 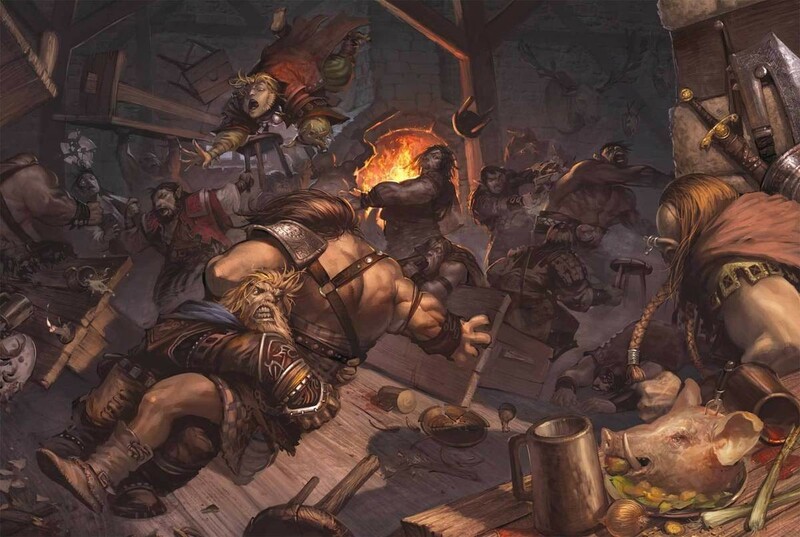 Quicker than you realise what just happened, people around you start fighting, Roll for initiative. Several hours go by before two guards come by, by now the drunken shouting and sounds have died down from the other cells, the guards ask your names and write them down with a small description of who/what you are. After that no guards come till morning. Campaign consists of them taking down a group of sneaky bandits who might have ties with a corrupt city official.